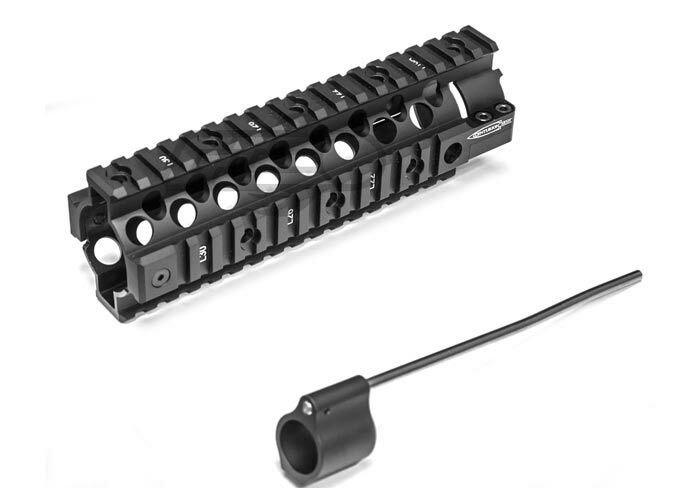 The Centurion Arms C4 Rail System is a lightweight 2 piece free float rail. The rails on all 4 sides provide tons of space for attachments like lasers and lights. 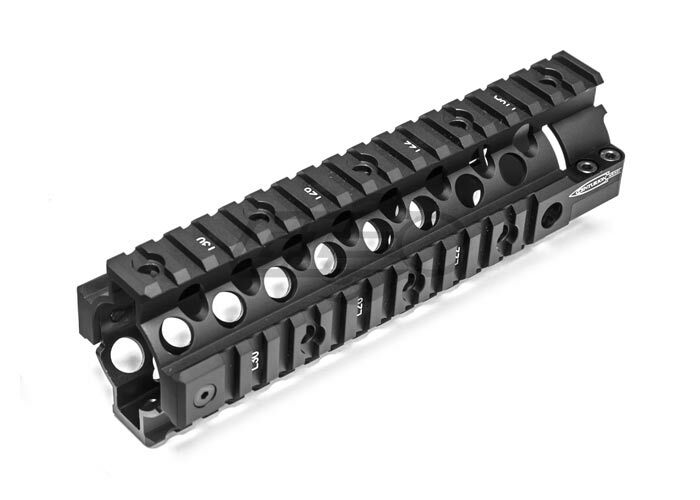 It also features a monolithic top rail that allows compatibility with a wide variety of optics and other accessories. 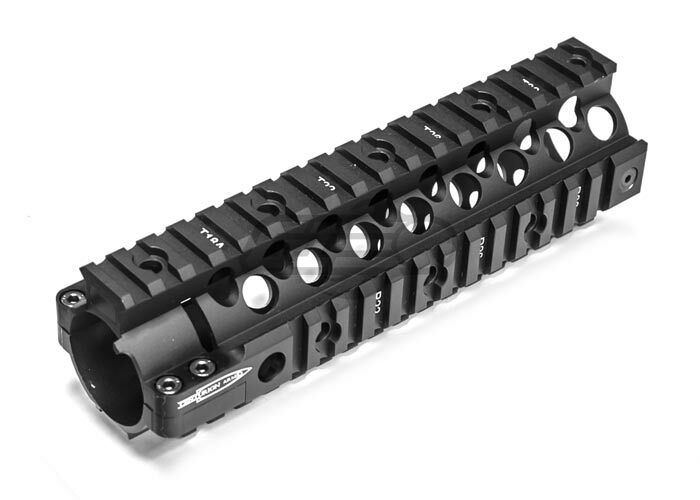 The C4 rail also includes 4 QD sling attachment points. The C4 is a breeze to install with its easy to use barrel nut and clamp design. The clamp design also makes the rail far more sturdy and and prevents the rail from loosening under stress.